Based on a specific case study, a new paper in Circulation by a group of clinicians at Vanderbilt University Medical Center describes their program designed to reduce risk of death from cardiovascular disease for prostate cancer patients on androgen deprivation therapy (ADT). The paper by Bhatia et al. lays out, in some detail, the approach adopted by the multi-specialty team at Vanderbilt. 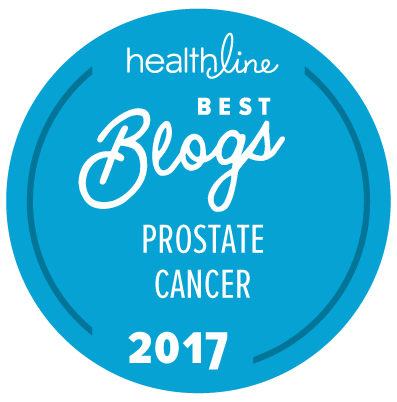 As they are careful to note, because so many men can be treated relatively early and effectively for the risk of prostate cancer-specific mortality, it becomes increasingly important to ensure that the patient significantly lowers any evident risks for cardiovascular complications and cardiovascular mortality associated with such treatment. In the case of the 74-year-old patient described in this case study (who has been diagnosed with locally advanced prostate cancer and given initial treatment with degarelix — an LHRH receptor antagonist), such risks include a history of heart disease (myocardial infarction), a sedentary lifestyle, hypertension, elevated cholesterol, a body mass index of 30 kg/m2, and a continuing smoking habit of a pack of cigarettes a day. The authors describe the Vanderbilt cardio-oncology team’s so-called ABCDE approach to the management of care for this patient (who is relatively obviously a heart attack waiting to happen). One could argue that a man of 74 years (the age of this patient) with the above health characteristics arguably has a life expectancy of < 10 years, and that the “bast” management for such a patient is simply watchful waiting with ADT to palliate any symptoms of progressive disease over time. However, the question is whether, with some significant dietary and behavioral changes, along with appropriate medication, such a patient can in fact increase both his prostate cancer-spoecific and his cardiovascular-specific life expectancy. The full text of this paper is available on line, and may well be of interest to a number of support group leaders and other prostate cancer educators. Figure 3 provides a detailed algorithm outlining the work-up and potential management imperatives for such a patient. Some additional information about the Vanderbilt Cardio-oncology Team and it’s approach to the management of patients like the one in this case study is also available on line. It is worth bearing in mind, as we point out every so often on completely arbitrary basis, that a man’s risk of dying from a cardiovascular disorder is many times greater than his risk of dying from prostate cancer!